Born: James Buchanan, Jr. April 23, 1791 Cove Gap, Pennsylvania, U.S.
Died: June 1, 1868 (aged 77) Lancaster, Pennsylvania, U.S.
Buchanan vowed to never marry, and he never did. When Buchanan eventually won the presidency, his niece Harriet Lane assumed the responsibilities of first lady. 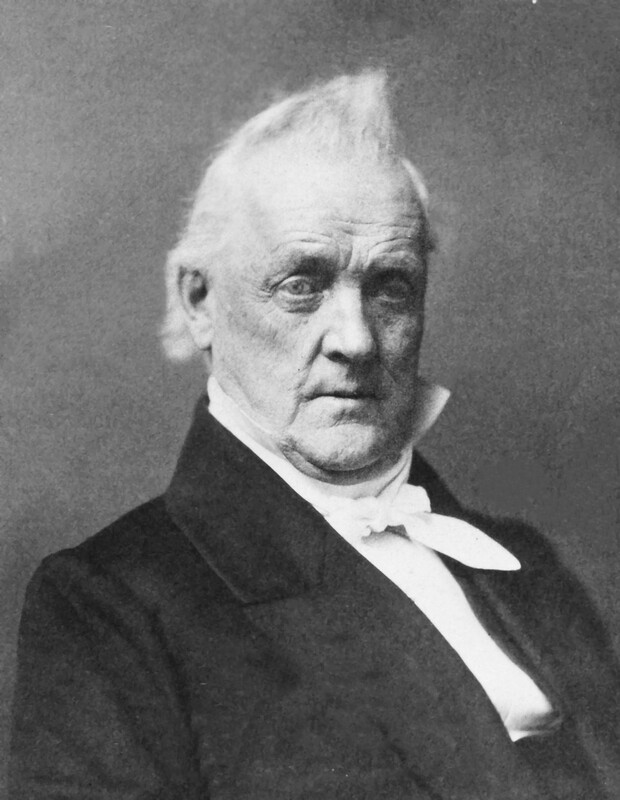 James Buchanan is the only bachelor president in U.S. history. 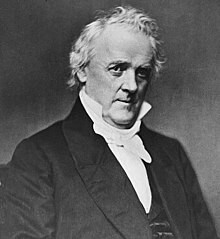 James Buchanan Jr. (April 23, 1791 – June 1, 1868) was an American politician who served as the 15th president of the United States (1857–1861), serving immediately prior to the American Civil War. A member of the Democratic Party, he was the 17th United States secretary of state and had served in the Senate and House of Representatives before becoming president. Buchanan aspired to be a president who would rank in history with George Washington, by using his tendencies toward neutrality and impartiality. Historians fault him, however, for his failure to address the issue of slavery and the secession of the southern states, bringing the nation to the brink of civil war. 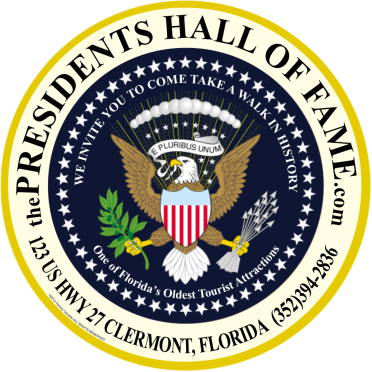 His inability to address the sharply divided pro-slavery and anti-slavery partisans with a unifying principle on the brink of the Civil War has led to his consistent ranking by historians as one of the worst presidents in American history. Historians who participated in a 2006 survey voted his failure to deal with secession as the worst presidential mistake ever made. Buchanan attended the village academy (Old Stone Academy) and, starting in 1807, Dickinson College in Carlisle, Pennsylvania. Though he was nearly expelled at one point for poor behavior, he pleaded for a second chance and subsequently graduated with honors on September 19, 1809. Later that year, he moved to Lancaster, which, at the time, was the capital of Pennsylvania. James Hopkins, the most prominent lawyer in Lancaster, accepted Buchanan as a student, and in 1812 Buchanan was admitted to the Pennsylvania bar after an oral exam. Though many other lawyers moved to Harrisburg, Pennsylvania after it became the capital of Pennsylvania in 1812, Lancaster would remain Buchanan's home town for the rest of his life. Buchanan's income rapidly rose after he established his own practice and by 1821 he was earning over $11,000 per year (equivalent to $207,048 in 2018). Buchanan handled various types of cases, including a high-profile impeachment trial in which he successfully defended Pennsylvania Judge Walter Franklin. South Carolina, long the most radical southern state, declared its secession on December 20, 1860. However, unionist sentiment remained strong among many in the South, and Buchanan sought to appeal to the southern moderates who might prevent secession in other states. He proposed passage of constitutional amendments protecting slavery in the states and territories. He also met with South Carolinian commissioners in an attempt to resolve the situation at Fort Sumter, which federal forces remained in control of despite its location in Charleston, South Carolina. He refused to dismiss Interior Secretary Jacob Thompson after the latter was chosen as Mississippi's agent to discuss secession, and he refused to fire Secretary of War John B. Floyd despite an embezzlement scandal, though the latter did eventually resign. Before resigning, Floyd sent numerous firearms to southern states, where they would eventually fall into the hands of the Confederacy. Despite Floyd's resignation, Buchanan continued to meet to receive advice from counselors from the Deep South, including Jefferson Davis and William Henry Trescot, who informed the South Carolina government about the content of his conversations with Buchanan. 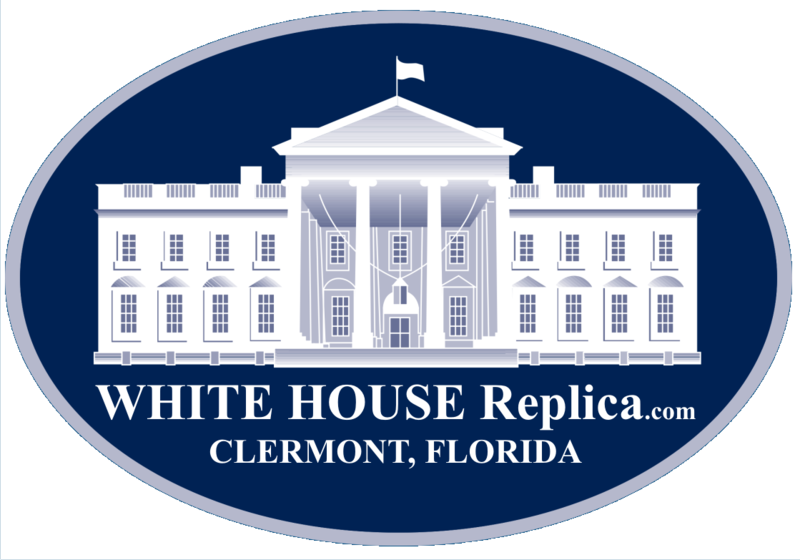 Other southern sympathizers also leaked the administration's plans. Buchanan spent most of his remaining years defending himself from public blame for the Civil War, which was even referred to by some as "Buchanan's War". He began receiving angry and threatening letters daily, and stores displayed Buchanan's likeness with the eyes inked red, a noose drawn around his neck and the word "TRAITOR" written across his forehead. The Senate proposed a resolution of condemnation which ultimately failed, and newspapers accused him of colluding with the Confederacy. His former cabinet members, five of whom had been given jobs in the Lincoln administration, refused to defend Buchanan publicly. Initially so disturbed by the attacks that he fell ill and depressed, Buchanan finally began defending himself in October 1862, in an exchange of letters between himself and Winfield Scott that was published in the National Intelligencernewspaper. He soon began writing his fullest public defense, in the form of his memoir Mr. Buchanan's Administration on the Eve of Rebellion, which was published in 1866. In 1818, Buchanan met Anne Caroline Coleman at a grand ball at Lancaster's White Swan Inn, and the two began courting. Anne was the daughter of the wealthy iron manufacturer (and protective father) Robert Coleman and sister-in-law of Philadelphia judge Joseph Hemphill, one of Buchanan's colleagues from the House of Representatives. By 1819, the two were engaged, but could spend little time together; Buchanan was extremely busy with his law firm and political projects during the Panic of 1819, which took him away from Coleman for weeks at a time. Conflicting rumors abounded. Some suggested that he was marrying for her money, because his own family was less affluent, or that he was involved with other women. Buchanan never publicly spoke of his motives or feelings, but letters from Anne revealed she knew of several rumors. Coleman broke off the engagement, and soon afterward, on December 9, 1819, died suddenly. Buchanan wrote her father for permission to attend the funeral, claiming "I feel happiness has fled from me forever"; However, Robert Coleman refused permission. 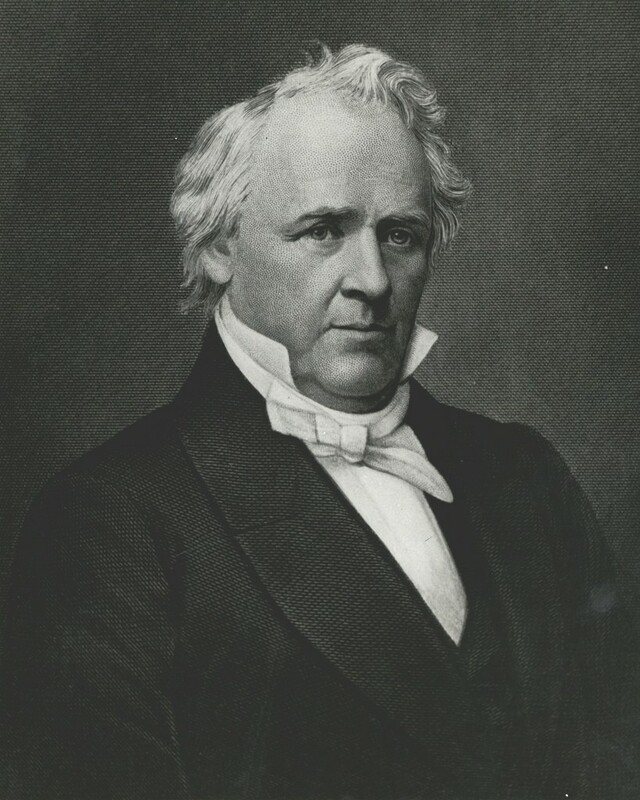 Buchanan had a close and intimate relationship with William Rufus King, an Alabama politician who briefly served as vice president under Franklin Pierce. Buchanan and King lived together in a Washington boardinghouse for many years, from 1834 until King's departure for France in 1844. King referred to the relationship as a "communion", and the two attended social functions together. Contemporaries also noted the closeness. Andrew Jackson called King "Miss Nancy" and prominent Democrat Aaron V. Brown referred to King as Buchanan's "better half", "wife" and "Aunt Fancy" (the last being a 19th-century euphemism for an effeminate man), Sociologist Loewen noted that "wags" described Buchanan and King as "Siamese twins", that Buchanan late in life wrote a letter acknowledging that he might marry a woman who could accept his "lack of ardent or romantic affection", and also that Buchanan was expelled from his Lancaster church, reportedly for pro-slavery views acquired during the King relationship. Catherine Thompson, the wife of cabinet member Jacob Thompson, later noted that "there was something unhealthy in the president's attitude". King became ill in 1853 and died of tuberculosis shortly after Pierce's inauguration, four years before Buchanan became president. Buchanan described him as "among the best, the purest and most consistent public men I have known." Jean Baker's biography of Buchanan notes that his and King's nieces may have destroyed some correspondence between Buchanan and King. She opines that the length and intimacy of their surviving letters (one written by King upon his ambassadorial departure being specifically cited by Loewen) illustrate only "the affection of a special friendship." The day before his death, Buchanan predicted that "history will vindicate my memory". Historians have defied that prediction and criticize Buchanan for his unwillingness or inability to act in the face of secession. Historical rankings of United States Presidents, considering presidential achievements, leadership qualities, failures and faults, consistently place Buchanan among the least successful presidents. When scholars are surveyed, he ranks at or near the bottom in terms of vision / agenda-setting, domestic leadership, foreign policy leadership, moral authority, and positive historical significance of their legacy. In several of these polls (taken prior to 2014), Buchanan is ranked as the worst president in U.S. history.